You want greater clarity of your defining strengths and talents. You want to be a leader or improve your leadership skills and need new tools to handle situations better – resulting in improved leadership branding. You need to leverage your skills more effectively to move ahead in your job/career – gaining better visibility, credibility. You want better control of your career direction. You need new tools and structure to accomplish your goals. You want to change jobs but don’t know how to define your unique value or how to move forward in your search. This program is for entrepreneurs and professionals who are in client facing and relationship building roles. You feel like you are marketing to the world and need a more defined target audience. You do not have a marketing or communications plan to reach your target audience. You do not have a clear direction and need some structure to help you reach your goals. You want to start your own business and want to develop your personal brand. Learn what makes you stand out. Communicate and market your personal brand more effectively. 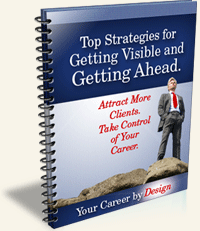 Be more focused in your career and business objectives. Enjoy the success that comes with a strong personal brand. If one of these programs sounds like it might be for you, then Take The Next Step – schedule a call to learn how we can work together. "Mary is an excellent personal branding strategist with a keen understanding of how to identify those qualities, talents, skills and abilities that differentiate you from your competition. She makes you work, but the work yields results. I recommend her highly as someone who can help you determine your strengths so you can communicate them to the right target audience."